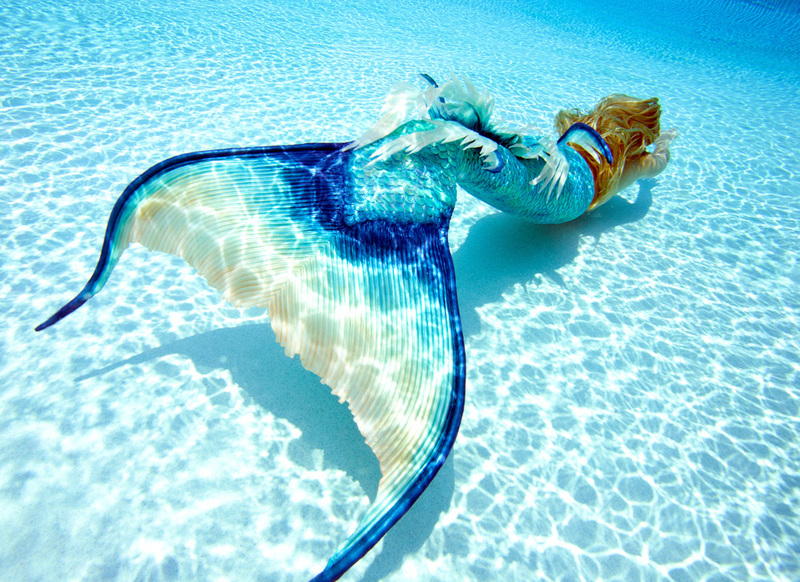 Mermaid Melissa is a real life inspiration of living out your childhood dreams and making fantasy a reality. With a 4-5 minute breath hold, hands on experience working with killer whales, dolphins, sharks, stingrays, and performing in aquariums worldwide. 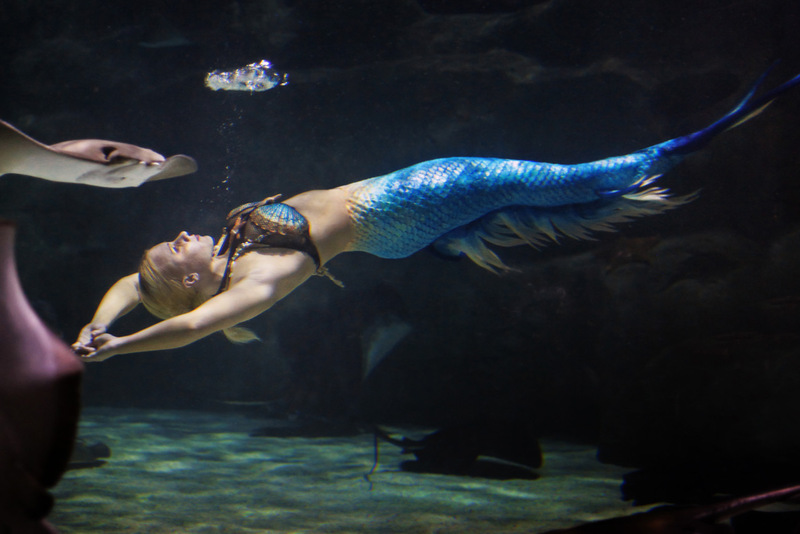 Melissa has turned her nickname into an entertainment agency business for her team of specialized performers and pursuing a passion she loves, sharing her tale of wanting to be one with the animals of the sea. 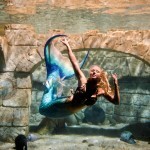 As a professional aquatic stunt model, Melissa is heavily involved in the entertainment field. 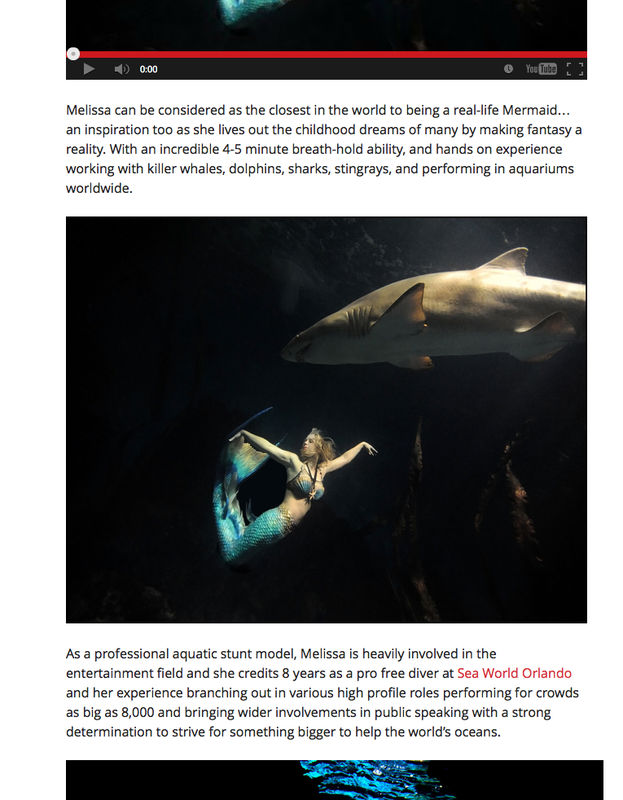 Several aquariums worldwide have featured Melissa as their lead mermaid act basing their million dollar projects around her famous original concepts, routines, ad campaigns, videos, & ability to train in performers for aquariums such as, Ripley’s Believe it or Not. 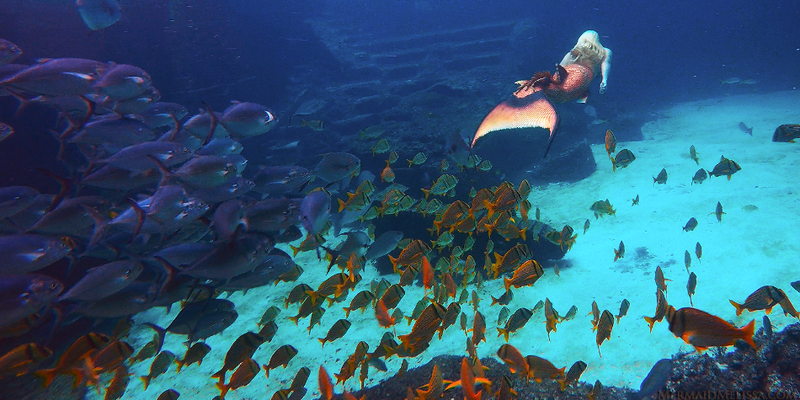 She credits 8 years as a pro free diver at the Largest Orlando Aquarium theme park and her experience branching out in various high profile roles performing for crowds as big as 8,000 for the Whale Shows as a vital tool for public speaking and a strong determination to strive for something bigger to help our oceans. 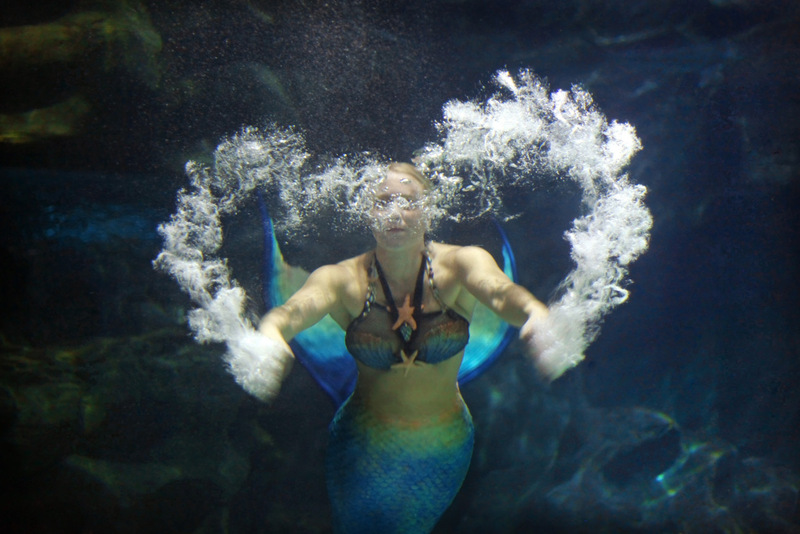 With the largest mermaid fan base (seen on social media outlets) since first debuting videos in 2005, she has since been seen as a mermaid on MTV, music videos, animal ambassador, PSA commercials, released a mermaids children’s book, monthly columnist for Mermaid Magazine, and makes a huge splash in the press where ever she is seen making live appearances! 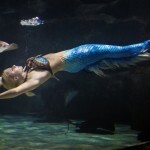 Our traveling tank aquariums for rental are a “turn-key” service used along side our team of specialty act mermaids, mermen, pirates, and other highly skilled underwater performers. We are hired for fundraisers, charity events, private parties, conventions, bday parties, and shows for aquariums worldwide. from public speaking on saving our oceans, speaking with children in school functions, attending a benefit, or doing a documentary or tv special on my underwater skills. 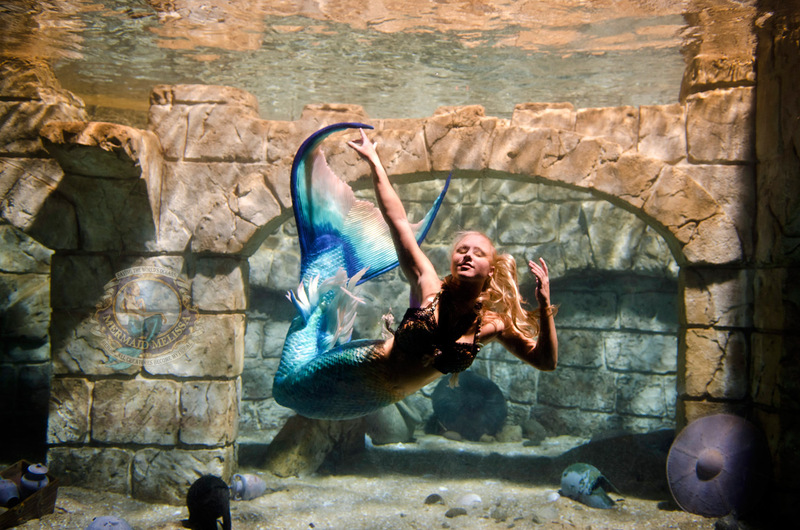 From Family friendly mermaid acts with my team of trained performers to club atmosphere, and even TV/film H2O underwater stunt acts choreographed to music specific to the clients request. “Aquatic Merage Productions” is anything and everything fantasy and mythical underwater that you can dream up! Brought to you by The Entertainment Agency: Mermaid Melissa LLC. Share this article & leave a positive comment at the bottom of their website write-up for a chance to get a Phone Call from Mermaid Melissa! Contest winner will be announced Sunday!